LOCATION.--Lat 42°32'08", long 77°42'15" referenced to North American Datum of 1983, Livingston County, NY, Hydrologic Unit 04130002, on right bank on Poags Hole Road, 0.7 mi upstream from Stony Brook, and 1.7 mi south of Dansville. PERIOD OF RECORD.--August 1974 to current year. REVISIONS HISTORY.--WDR NY-82-3: Drainage area. WDR NY-91-3: 1984 (P), 1986 (P). GAGE.--Water-stage recorder. 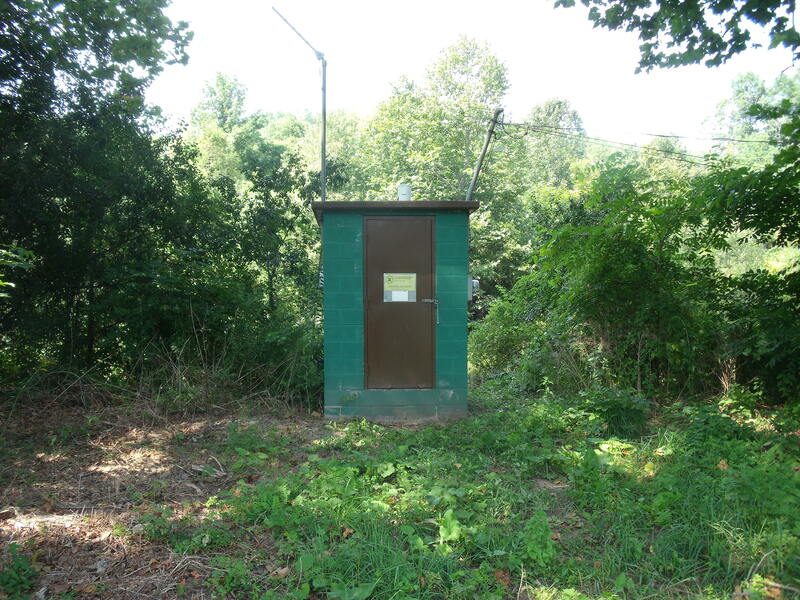 Datum of gage is 715.60 ft above NGVD of 1929 and 715.13 ft above NAVD of 1988 (VERTCON). EXTREMES FOR PERIOD OF RECORD.--Maximum discharge, 7,340 ft³/s, Jan. 19, 1996, gage height, 8.50 ft, from rating curve extended above 2,700 ft³/s; minimum discharge, 6.2 ft³/s, Aug. 27, 2005.